People with schizophrenia are at an increased risk of developing diabetes, even when the effects of antipsychotic drugs, diet and exercise are adjusted for, a new study has found. Researchers from King’s College London examined whether diabetes risk is already present in people at the onset of schizophrenia, before antipsychotics have been prescribed and before a prolonged period of illness that may be associated with poor lifestyle habits – such as poor diet and sedentary behaviour. 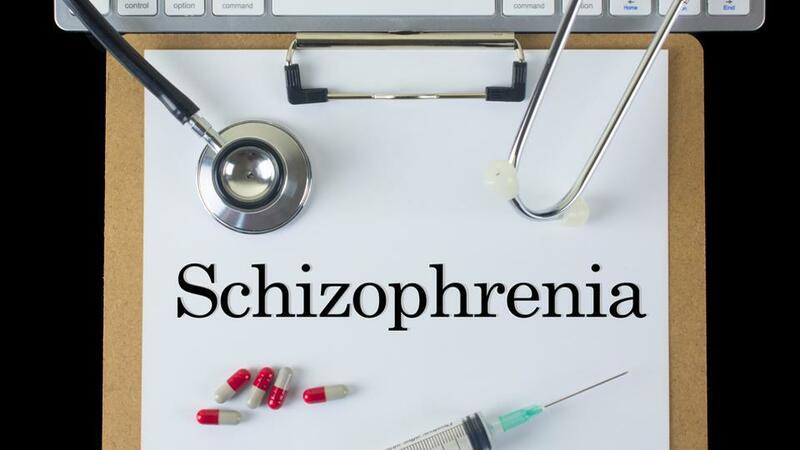 They pooled data from 16 studies comprising 731 patients with a first episode of schizophrenia and 614 people from the general population. They analysed blood tests from these studies and found that patients with schizophrenia showed higher risk of developing type 2 diabetes compared with healthy controls. Patients had higher levels of fasting blood glucose, which is a clinical indicator of diabetes risk. Researchers also discovered that compared with healthy controls, patients with first episode schizophrenia had higher levels of insulin and increased levels of insulin resistance, again supporting the notion that this group are at higher risk of developing diabetes. The researchers highlight several factors that could increase the likelihood of developing both conditions, including shared genetic risk and evidence of shared developmental risk factors, such as premature birth and low birth-weight. “Our study highlights the importance of considering physical health at the onset of schizophrenia, and calls for a more holistic approach to its management, combining physical and mental healthcare,” said Toby Pillinger from King’s College London. The study was published in journal JAMA Psychiatry. This entry was posted in Clinical Research, Clinical Trial, Diabetes Mellitus, Health. The FDA’s decision is based on a postmarketing study required by the agency when it approved Jardiance in 2014 as an adjunct to diet and exercise to improve glycemic control in adults with type 2 diabetes mellitus. Jardiance was studied in a postmarket clinical trial of more than 7,000 patients with type 2 diabetes and cardiovascular disease. In the trial, Jardiance was shown to reduce the risk of cardiovascular death compared to a placebo when added to standard of care therapies for diabetes and atherosclerotic cardiovascular disease. Jardiance is distributed by Boehringer Ingelheim Pharmaceuticals, Inc., Ridgefield, Connecticut. This entry was posted in Clinical Research, Clinical Trial, Diabetes Mellitus, Health, USFDA. The FDA just approved a device that’s often referred to as an ‘artificial pancreas’. The device, made by Medtronic, is called the MiniMed 670G. It’s been approved for people with type 1 diabetes over the age of 14. It works by automatically monitoring a person’s blood sugar levels and administering insulin as needed – no constant checking and injecting required. Diabetes is a condition in which people have a hard time processing sugar. Type 1, in particular, is an autoimmune disease in which the body mistakenly kills cells that are supposed to make insulin, a hormone that helps people absorb and process the sugar in food. Insulin is produced and released through the pancreas – that’s where the term ‘artificial pancreas’ comes in. Roughly 1.25 million people in the US have type 1 diabetes. These patients often opt to have an insulin pump that can administer insulin as needed throughout the day. Some also buy a glucose monitor, which is used to continuously monitor blood sugar levels; that way a diabetic can know if their levels are going too low or too high and find a way to correct it. 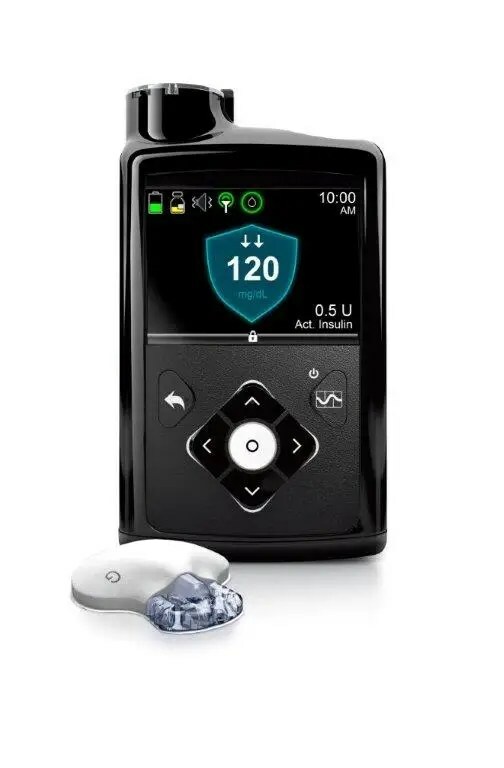 In contrast, the MiniMed 670G, referred to as a ‘hybrid closed loop’ system, is what Jeffrey Shoorin of the FDA said in a statement is a “first-of-its-kind technology”: the first approved system that combines both the glucose monitor and the insulin pump in one device. According to the FDA, the device measures blood sugar every five minutes, then responds by sending insulin into the body, or holding steady. Diabetics can also manually request insulin around mealtimes. While the device is approved as of today, Medtronic will do additional testing to see how well it works in real-life situations. The company is also conducting additional trials to see if it can be used in children 7 to 14 years old. “We are committed to preparing for commercial launch as quickly as possible,” Francine Kaufman, M.D., chief medical officer of the Diabetes Group at Medtronic, said in a statement. This entry was posted in Clinical Research, Clinical Trial, Diabetes Mellitus, Health, Medical Device, USFDA and tagged artificial pancreas, diabetes, USFDA. Researchers have developed a new technology that could allow non-invasive testing of glucose levels, via a contact lens that samples glucose levels in tears. Current method to monitor glucose levels involve a medication process along with a painful fingerpick blood test. Glucose is a good target for optical sensing, and can be used as an alternative approach, the study said. “It should be noted that glucose is present not only in the blood but also in tears, and thus accurate monitoring of the glucose level in human tears by employing a contact-lens-type sensor can be an alternative approach for non-invasive glucose monitoring,” said Wei-Chuan Shih, Associate Professor at University of Houston in Texas, US. The researchers developed a tiny device built with multiple layers of gold nanowires and gold film that was produced, using solvent assisted nanotransfer printing. This component strengthens a technique called surface-enhanced Raman scattering — named after Indian physicist C.V. Raman, who discovered the effect first in 1928 — which gauges how light interacts with a material to determine its molecular composition, the researchers stated. Further, the device enhances the sensing properties of the technique by creating “hot spots” or narrow gaps within the nanostructure which intensified the Raman signal. Traditional nanofabrication techniques rely on a hard substrate — usually glass or a silicon wafer — but researchers wanted a flexible nanostructure which would be more suited to wearable electronics, Shih said. The layered nanoarray was produced on a hard substrate but lifted off and printed onto a soft contact, Shih said in the paper published in the journal Advanced Materials. Although non-invasive glucose sensing is just one potential application of the technology, it provided a good way to prove the technology, he said. Moreover, the device is also an effective mechanism for using surface-enhanced Raman scattering spectroscopy. This entry was posted in Clinical Research, Clinical Trial, Diabetes Mellitus, Health and tagged best injection for diabetes, diabetes, diabetes association, diabetes diet, diabetes diet india, Diabetes mellitus type 1.